Well presented two bedroom semi detached property situated in the popular location of Weston Mill Road. The property would make a great first home or buy to let investment with an approximate monthly rental income of £600.00. Living accommodation comprises, lounge, kitchen/dining room, two bedrooms and modern fitted bathroom. 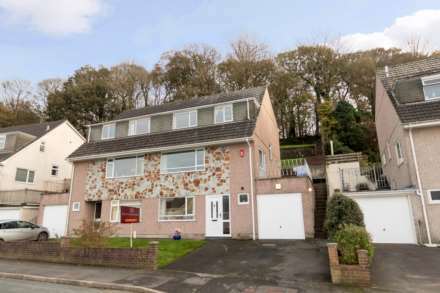 The property also benefits from gas central heating, double glazing, generous front and rear gardens and is offered to the market with no onward chain. Wood effect flooring. Double glazed window to side and rear aspect overlooking the rear garden. Frosted double glazed door leading to rear garden. Range of wall and base units with complimentary worksurfaces and tiled splashbacks. Integral stainless steel sink drainer unit with mixer tap. Space and plumbing for washing machine and cooker. Ceiling mounted light point. Storage cupboard x 2. Radiator. Storage cupboard x 2. Double glazed bay window to front aspect. Ceiling mounted light point. Tiled flooring. Wall mounted heated chrome towel radiator. Modern three piece bathroom suite comprising of white panelled bath with shower over, hand wash basin and low flush w.c. Frosted double glazed window to rear aspect. Ceiling mounted light point. Gated access with path leading to front entrance. Gated side access to rear garden. Low maintenance front garden mainly laid to decorative chippings. Generous rear garden accessed from the side of the property or kitchen/dining room. Rear garden mainly laid to lawn.